This is a special group of short ETF shares that allows participation on the decline of an underlying index by buying concrete inverse ETF. Short selling strategy is an important technique that should be incorporated in the stock trading system. The stock market offers both types of trading opportunities – for a rise in a price of shares and also for a decline in a price of shares. 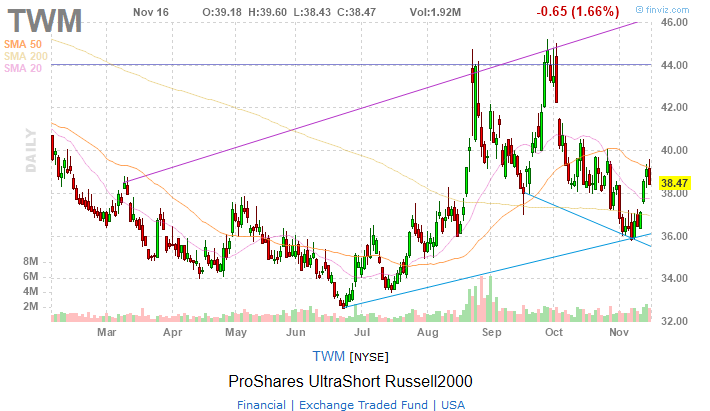 Ultra short ETF shares move more quickly. Ultra means that a one-point move in a standard ETF is represented by a two-point move in these Ultra Short exchange traded funds. 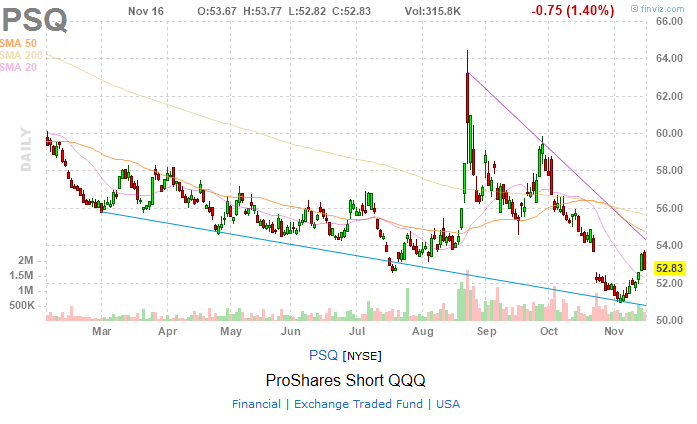 All these Short and Ultra inverse ETF shares are issued by Proshares. These (mostly leveraged) exchange traded funds offer good intraday trading opportunity. But they also hold several risk factors. The one of them is that they are not very usable for long-term holding. I personally prefer to short sell standard exchange traded fund shares but I also enter long position in these inverse exchange traded funds in case that normal exchange traded fund shares are not available for shorting or there is better risk reward ratio in such ETF trading setup based on my stock trading system.